We are thrilled to be running our Performing Arts Summer School again this year. Our theme this year is Poppins! 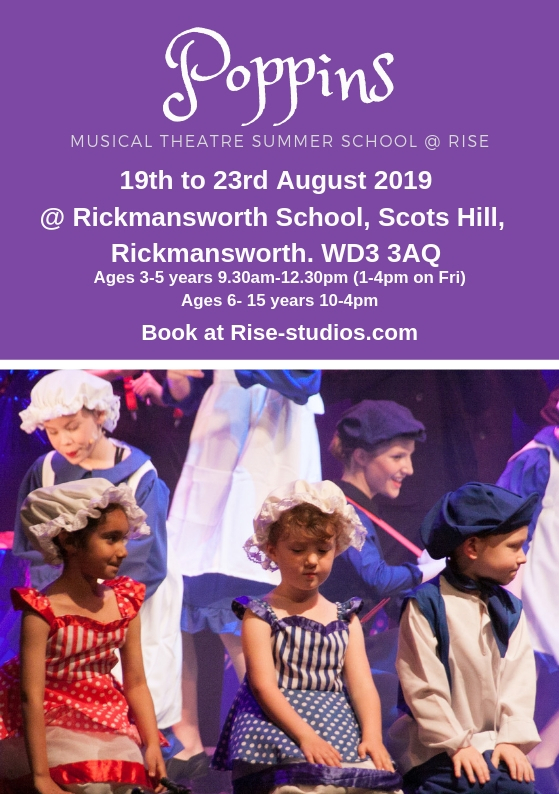 If you are looking for a quality Musical Theatre Summer School and not just a Holiday play scheme, then look no further! 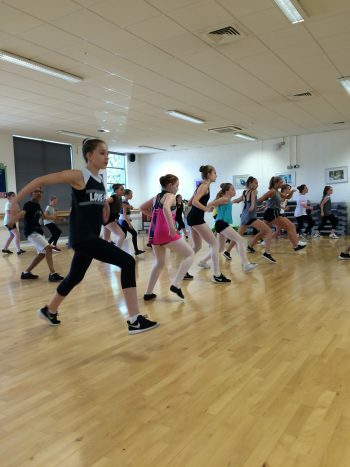 We are not a franchise, and are very proud of the fact that our Summer Schools are taught by West End Professionals, so your children will be getting the very best possible training. If you thought you had to travel into London to work with top industry professionals, you were wrong. We offer the same experience here in Rickmansworth, Hertfordshire. Please scroll to the bottom of the page to book now. RISE Studios is offering a week of intense professional dance training for those aged 10 to 18 years. Fully equipped dance studio with full length mirrors, barres and sprung floors. Faculty for 2019 TBC but ALL teachers are working industry professionals who are currently in the West End or in the Commercial industry. Previous years classes were taught by industry professionals including Clare Rickard from 42nd Street and Joshua Robinson from Dream Girls. There will also be talks on auditions, agents and general life as a professional dancer. Don’t miss this fantastic opportunity to discover what it’s like to be a professional dancer without having to travel in to London! Only £180 including VAT for West End quality professional training! Here is what some of our dancers from previous years have said…. 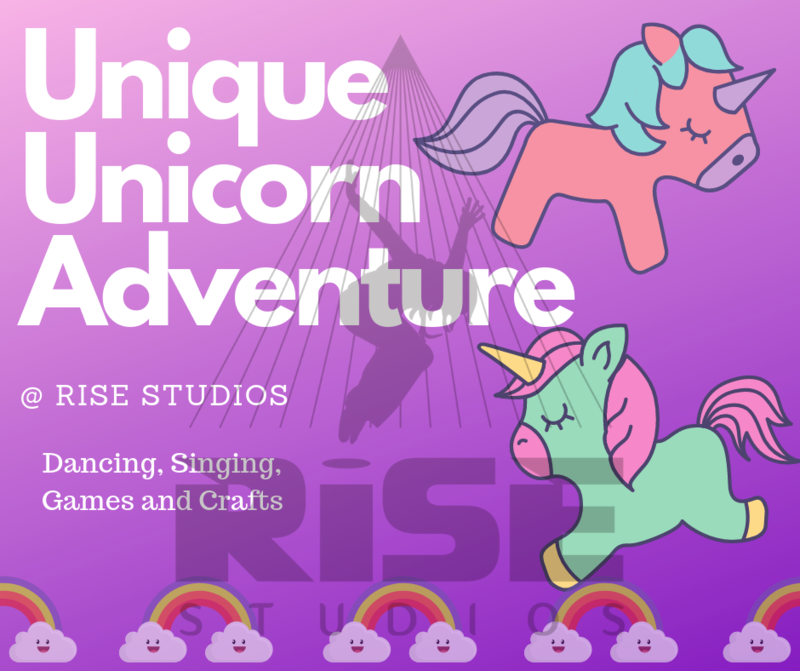 RISE Studios is offering a May Half term Camp this year for ages 3-5 years and 6-8 years. Drop the kids to us for two hours each day so that you can get all your errands, shopping etc done! We will keep them entertained AND tire them out, with singing, dancing, games and crafts, all based around our Unique Unicorn Adventure theme. Scroll down to the bottom of the page to book your place. Spaces are limited! Only £45 for the whole course. You may need to scroll the window on mobile and portable devices. Please refresh your browser window to reset the form. Please note prices shown are excluding VAT. VAT will be added to your invoice at 20%.